The Co-operative Loan fund lends money exclusively to co-operatives. The organisation’s approach to lending is ethical, accessible and sympathetic to your co-op’s needs; it’s entirely funded and run by co-ops, so – unlike many conventional lenders – truly understands and actively supports democratically owned and controlled enterprises. The Co-operative Loan Fund reinvests any surpluses into the fund to continue this support. 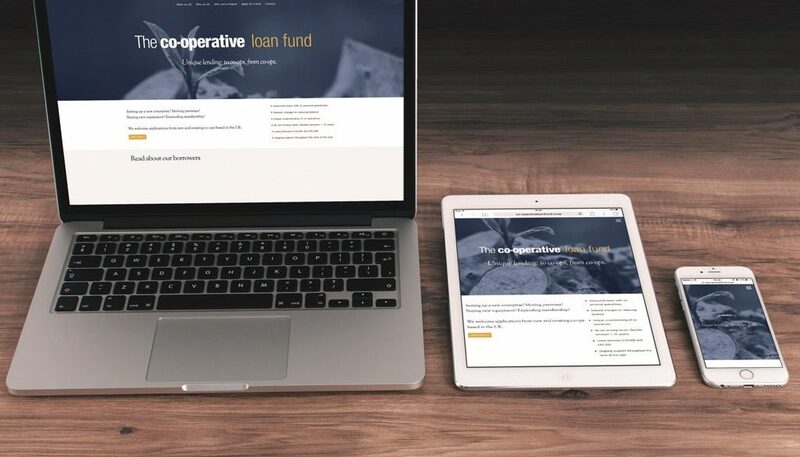 We provide marketing support for The Co-operative Loan Fund. This includes research, writing, PR support, design and print, and web development.